Leading Manufacturer of syringe filter holder from Navi Mumbai. We have achieved a distinct position in the market by providing Syringe Filter Holder. Our offered filter holder is checked on several parameters in order to supplying defect free range from our end. This filter holder undergoes a rigorous testing process that is carried out by our experts in order to ensure its flawlessness. The filter holder offered by us is obtainable in a variety of specifications so as to meet the variegated requirements of customers. 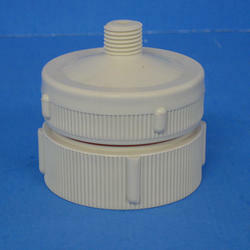 Looking for Syringe Filter Holder ?